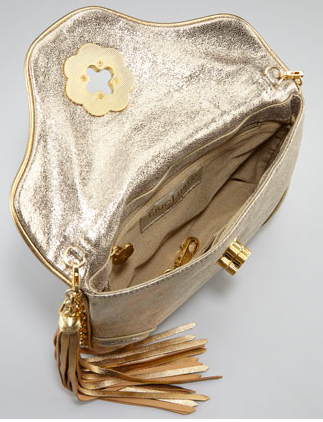 I’ve been looking for the perfect gold clutch for several years. I have these fantastic gold strappy sandals that I want to wear with pretty much everything all summer long. 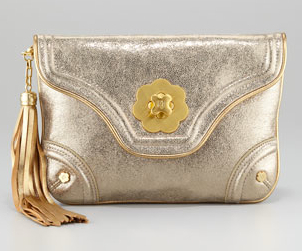 This gold mini clutch from Eric Javits is the right size, the right classic shape, and I adore the little tassel. Also, the signature flower closure matches the leather cut-out blooms on my sandals. I guess at $300+ for this evening bag, I really would have to wear those shoes with EVERYTHING, ALL SUMMER LONG!